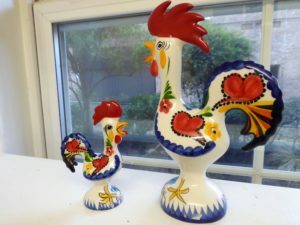 Two Barcelos Cockerels From My Collection. Lots of people have asked me about my collection of cockerels, mentioned in a previous blog. This famous, vividly coloured cockerel, is the unofficial symbol of Portugal and varieties can be bought at souvenir shops everywhere in Portugal. 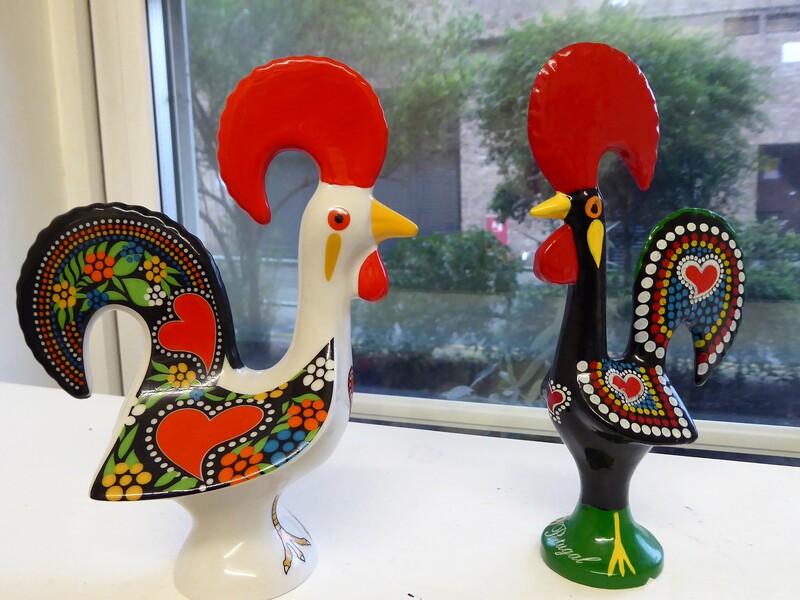 It originated from Barcelos, the town in North Portugal, where the souvenirs are manufactured. Its proper name is ‘The Barcelos Rooster,’ and relates to a centuries old legend which revolves around a dead rooster that crows to prove an accused man’s innocence. 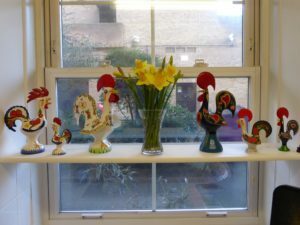 The strident, proud and splendid rooster is much loved by the Portuguese, reminiscent of Portugal’s historical importance, their culture and unique character. The coastline is breathtaking and charming- thankfully, the country is enjoying further success as a tourist destination, though partly at the expense of Egypt and Tunisia. 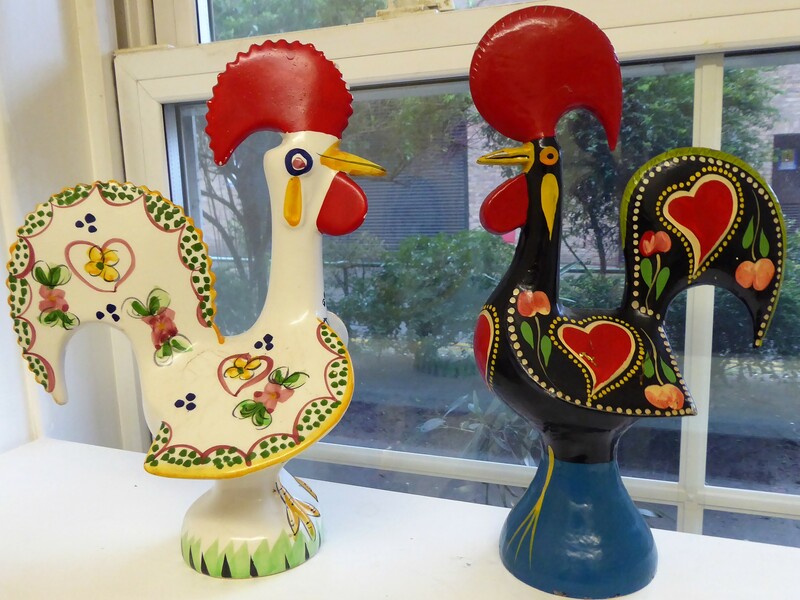 The Other Barcelos Cockerels From My Collection. Two More Barcelos Cockerels From My Collection.